If you’re tired of paying premium prices for groceries, household staples, toiletries, and other necessities, you may be interested in extreme couponing. Or maybe you already coupon a little, but you’re looking to make a real dent in your grocery budget by kicking your couponing up a notch. When you think extreme couponing, chances are that you picture the popular TLC show, “Extreme Couponing,” where people with veteran levels of couponing skills walked away from their grocery hauls with multiple carts full of food, toiletries, and household goods they got for steeply discounted prices. Sometimes the grocery store even owed them money after it was all said and done. Extreme couponing is appealing to many because everyone loves free things. But, many of us want all of the free things, without all of the endless coupon clipping, bargain hunting, and scouring the web for the best deals. Luckily, we are in 2019, and it's has never been easier. In fact, there are millions of dollars being saved! You deserve to get your share of those millions. There are dozens of websites, apps, YouTube channels, and social media groups dedicated to helping the modern day couponer score all the best deals. So if you’re ready to embrace the couponing lifestyle, check out these five steps loaded with tips to help you become the master of your local grocery store. The first step (and it’s pretty simple) is to pick just one store in which to master your extreme couponing game. All the “professional” couponers recommend this. Because once you know your way thoroughly around couponing in one store, you’ll be able to get all the best deals. What are the best stores for couponing? There’s no universal agreement where the beginner in the world of extreme couponing should start. However…Many recommend Target because you’ll get lots of practice stacking coupons. 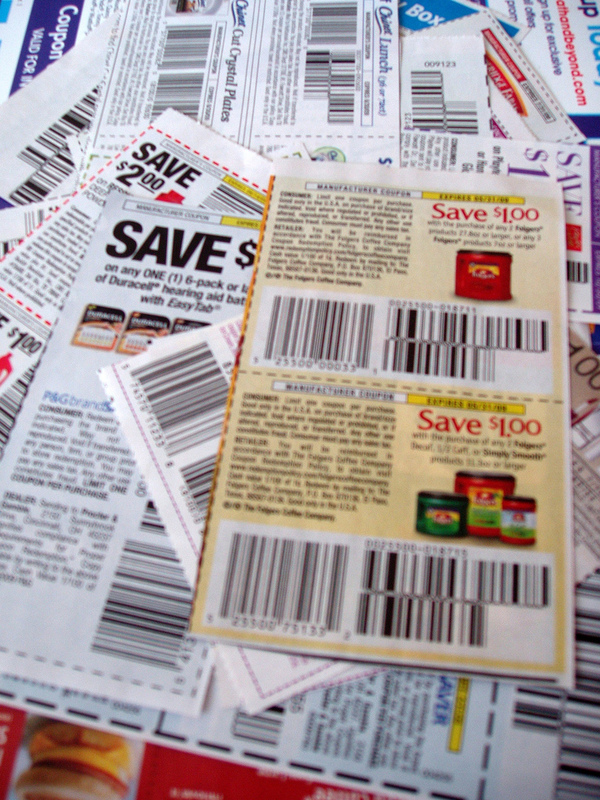 The art of stacking coupons is the key to a successful shop because it allows you to use manufacturer coupons and store coupons all for the same item. For now, focus on the stores you feel most comfortable shopping. But keep in mind where your money might stretch furthest. No matter where you choose to shop there is one big thing you cannot forget. You need to know your store’s coupon policies. Finding yourself unaware of a store’s couponing policies and unable to get those deals is an embarrassment akin to the age-old nightmare of public speaking in your underwear. Avoid the nightmare altogether by getting a copy of your store’s coupon policies, either online or in-store at the customer service counter. Once you’ve picked your store, the real fun starts: finding all the best coupons. Before you grab your scissors and subscribe for a dozen copies of the Sunday paper, you should know that there are dozens of places to find coupons. And a lot of them don’t involve scissors at all. It’s important to know the fundamental difference between the two basic forms of coupons: manufacturers and store coupons. Every couponing expert will use both types of coupons to make sure they score all the best deals and get maximum savings. There is practically no end when it comes to hunting for coupons. And you might just drive yourself crazy looking for them. This is 2019. And in the same way that we don’t need to locate a payphone to make a call or check our email using a dial-up connection, we don’t need to dumpster dive for coupons. You can find coupons through websites, phone apps, chrome extensions and more. All the best tips for finding coupons are below. Fair warning, you’re going to walk away from this article with such extreme couponing knowledge, you may be a dangerous couponing weapon. Why search through printable coupons? Because you are a modern-day individual who wants to find and print only the coupons you need. These websites allow you to search for exactly what you want, print the coupons for FREE without any subscription to worry about -- and do all this from the comfort of your own home. Many even alert you to the best in-store sales and deals. So you're getting double the value from each website. No. Because you are smart, and you’re probably itching to check out these websites. But searching the web for coupons is only the beginning. Any novice will also want to check out mobile couponing apps. Couponing apps are where couponing really hits its millennial stride. Without the need to print, cut, snip, or snap you have access to thousands of coupons right on your smartphone. Take advantage of all the bargains you can find right from your smartphone. That way, you are couponing smarter, not harder. Even the experts still take advantage of traditional Sunday newspaper coupons. Some of the best deals and highest savings are found between the newsprint. The key to mastering newspaper coupons is simple, especially when you check out helpful advice of the experts. Navigating which inserts you need, where to purchase the paper, and how to find and interpret the best supplements is not as tricky as you might think. Just watch for the SmartSource, RetailMeNot (formerly RedPlum), P&G BrandSaver inserts, and you’ll have direct access to all the best deals. Think we have exhausted all the best places to find coupons? The world of couponing has its own lingo to describe some other great coupon options. And some of the names are pretty cute! Those are the coupons stuck like a sticker on the products themselves. You simply buy the product with the peelie on the front, then take it back to the store the next time to get that amazing deal. These are the coupons you see in the actual aisle of the grocery store. Found in a black box with a red blinking light, these are meant to increase impulse buying or advertise a new product. But the best couponers can take full advantage of finding another great deal. This is simply the name for the pad of manufacturer coupons found in shopping aisles. They are designed to be snapped up and used at another store, just not where you found the coupon. Not the salad dressing. Or the Californian island. These are the coupons that print out at the end of your grocery store receipt, triggered by the items you purchase. These manufacturers coupons are favorites of some extreme couponers because they are often customized to the products you already shop for. Keep an eye out for any of these elusive coupon deals next time you go shopping. Don't dismiss your browser's power! Entering a new millennium of couponing means embracing Google Chrome extensions that make couponing easier. If you’ve never used Google Chrome, you’re missing out. Aside from being a quick and streamlined web browser, Google Chrome allows you to download extensions that make your life easier. You may have seen online advertisements for extensions like Grammarly. Well, there are some for saving money too. 1. Honey: One of the most popular money-savers, Honey searches for applicable coupon codes when you online shop and instantly applies them to your purchase. You can also earn reward points by using Honey, redeemed for gift cards or money. 2. PriceScout: This Chrome extension not only finds coupon codes for you but it comparison shops from over 20,000 other retailers as well. 3. CouponCabin: This extension will give you tips for every google search, letting you know if something you’re looking for is on sale. It also allows for ten percent cash back. 4. Cently: The final extension on our list automatically tries coupon codes for you and applies them at checkout. Check out the Google Chrome extension store and download some of these amazing resources today! Save money not just in the store, but also while shopping online. What is coupon stacking you ask? With the right know-how, you can combine a store coupon (from someplace like Target or your local grocery store) with a manufacturer coupon (from a company like Kraft or Tide). With this method, you’re getting double the benefit. If you combine coupon stacking with an in-store sale and a mobile rebate app like Ibotta, then it’s possible to actually make money from shopping! Once you’re armed and dangerous (AKA loaded with all the best coupons), you’ll want to have a plan of action for your first coupon shopping trip. That's right, it's time to get organized. This is where all of your thrifty education and carefully honed coupon organizational skills will come in handy. A real haul takes a combination of coupons, know-how, and planning. Does this overwhelm you a little? No worries. You are just a few paragraphs away from all the answers. If you take one look at the fine print on the back of a coupon and shrink away in fear, you’re not alone. With just a few minutes of your time, you can turn the fine print on the back of a coupon from a language of gibberish to a paragraph of money-saving advice. You can use one coupon for each item. It is meant to enforce the point you cannot use two of the same coupons on one individual item. You can only use one of these coupons per item per store transaction. This coupon can be used at Walmart but also at other stores. This product is only available at the particular store listed. But you may want to hold onto the coupon in case other stores receive the item eventually. You can only use up to four coupons in the same transaction. You can only use one identical coupon per shopping trip. You cannot use two manufacturer coupons on the same item. Part of expert couponing is finding the organizational system that works for you. Because once you’re loaded with hundreds of usable coupons, you need some way to store them so that you can use them for maximum impact. Some couponers are team binder. Others like to use filing folders. Still, others use plastic photo boxes. You may have to try out a few of these methods before you find the one that works best for you. If the goal is to save money, you’re going to want to pick the method that is cheap to begin, easy to maintain, and the most helpful for maximum savings. Otherwise, the coupons might just gain the upper hand. One of the best secrets to couponing success is joining the ever-growing community of couponers. And because this is 2019, feeling connected to fellow couponers is not like joining a knitting circle of yore. You can join one of the many social media groups that are available for couponers. Thrifty Online Deals, Steals, Glitches and MORE: The admin of this Facebook group not only posts many money-saving deals but interacts with the group members: all 22,000 plus members! You can find many great online discounts and codes, but you can also connect with other bargain hunters and extreme couponers. Lady Luck: This group is excellent, not just for deals and sale alerts, but also for lots of giveaways, freebies, and samples! Daily Dose of Deals: This Facebook group posts several deals all day long, saving you money on everything under the sun, including everyday items. Once you’ve made it through steps one, two, and three, the real fun begins: shopping! Armed with your coupons, your knowledge, and your new online couponing support system, you are prepared for your first haul! Well, okay, maybe it is simpler to say than to practice. When you spend lots of time in stores hunting for the best deals, it’s easy to get sucked in by the allure of the store’s marketing. Or maybe you’re shopping hungry. In which case resisting that pack of cookies is all the more difficult. If your goal is to save money through couponing, then you have to stay on course and buy only the things you came for. That way, when you walk away from an outstanding haul, you haven’t spent all the money you saved on silly impulse buys. When you go couponing, it is essential to be well-informed about what is actually an excellent price. Just saving fifty cents off of a four dollar box of cereal really isn’t all that impressive. With experience, you will learn what a really good price point is. And once you find that sweet spot of money saving, you have found your “stock-up” price: the point at which you want to snap up as many of that item as you can, to build your stockpile. Being brand loyal just won’t get you the best deal. You want to choose items that bring you maximum money savings. Even if that means trading your regular Tide detergent for Gain. Or trading Bounty paper towels for Brawny. Once you let go of brand loyalty, you will be free to save the most money. When you begin couponing, you may be tempted to use every coupon that you have, just because you have it. What good will fifty cans of tuna do if you never plan to open even one? The only exception, of course, is if you plan to donate your excess stockpile. In which case, go for it. But a good rule of thumb is to purchase just what you know you’ll use. That way, you’re saving money and not being wasteful. Start your extreme couponing journey today! And the good news is, that in 2019 couponing has never been simpler. So grab your smartphone, and download an app or two. Maybe even try your hand at some old-fashioned coupon clipping. Soon you’ll save big and see real results!